The Cuban guitar player was born on August 8, 1965 in Havana, where years later he was awarded one of the most prestigious art awards granted by the Cuban government, “Orden por la Cultura Nacional.” He studied guitar, music and composition in his homeland and in 1989 completed his studies in the Instituto Superior de Arte. In 1990 Joaquín Clerch continued studying overseas, at the Mozarteum University in Salzburg, Austria, where he was Eliot Fisk’s guitar student and where he studied early music with Anthony Spiri and Nikolaus Harnoncourt. In 1991 Clerch finished his studies in Salzburg with honors and received an award for outstanding artistic achievement granted by the Austrian Ministry of Science and Research. Also in 1991, he began his international teaching career, first as assistant to Professor Fisk at the Mozarteum and later teaching at the Munich Conservatory. Since 1999 he has been teaching guitar classes at the Robert Schumann Conservatory in Dusseldorf. Clerch is a leading guitar teacher. His students have won international awards and honors in major competitions, including the prestigious Francisco Tárrega International Guitar Competition, in which his students obtained the first prize four years in a row (2004-2007). Many of his students are renowned guitar players and teachers at conservatories and music schools all over the world. Joaquín Clerch has won major guitar competitions, including the Andres Segovia International Competition (Granada, Spain), International Guitar Competition Heitor Villalobos (Rio de Janeiro, Brazil), Printemps de la Guitare (Charleroi/Brussels, Belgium) and ARD (Munich, Germany). Clerch has given guitar concerts in many cities and concert halls, including Concertgebouw (Amsterdam, Holland), Palacio de la Musica (Barcelona, Spain), Theatre Royal de la Monnaie (Brussels, Belgium), Alte Oper (Frankfurt, Germany), Semperoper (Dresden, Germany), Auditorio Manuel de Falla (Granada, Spain), Teatro Nacional (Havana, Cuba), Cemal Resit Rey (Istanbul, Turkey), Kölner Philharmonie (Cologne, Germany), Brucknerhaus (Linz, Austria), Auditorio Nacional de Musica (Madrid, Spain), Münchener Philharmonie (Munich, Germany), Radio France (Paris, France), Beijing Concert Hall (Beijing, China) and Konzerthaus (Vienna, Austria). Clerch has performed as a soloist with orchestras including the Bavarian Radio Symphony Orchestra, Spain’s National Symphony Orchestra, Cuba’s National Orchestra, Philarmonic Orchestra of Bogota, Philarmonic Orchestra of Stuttgart, Mozarteum Orchestra Salzburg, and National Orchestra of Capitole de Toulouse (conducted by Michel Plasson). 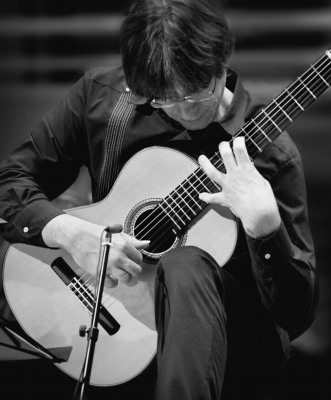 He has also played with the Philarmonic Orchestra of Gran Canaria, conducted by Adrian Leaper, with which he recorded the first performance of two guitar concerts written for him by Leo Brouwer and Carlos Fariñas (Concierto de la Habana, 1998, and Concierto, 1996). Both composers were his teachers and are considered two of the most important composers in Cuban history. Clerch is not only well-known as a guitar player, but also as a composer. His works for guitar are published by Musikverlag Zimmermann ), formerly Chanterelle, and performances are released under the label Naxos. Clerch’s own performances of his guitar concerts are available under duo-phon records and MDG. In 2009, Clerch was awarded the Echo Prize for Classica Cubana(CD). In 2012, he won the Cuba Disco for his performance of Carlos Fariñas’ complete works.